In the first part of this exciting, new and more comprehensive workshop series, you will learn about the myofascial tissue and its many roles in the body. Participants will see the fascial tissues in context and how they are interdependent with the other body systems. We will introduce you to the first four main Anatomy Trains –Superficial Front and Back, Lateral and Spiral. We will teach you a range of movement assessments and you will learn a range of Fascial Release Techniques for each of these important lines.From there we begin to appreciate how the body incorporates the Anatomy Train Lines to create easy and graceful movement – provided they are in some form of balance and harmony; restriction or weakness in one section can have many knock-on effects elsewhere. This workshop will show you how that happens, how to trace the lines of strain and, most importantly, immediately usable strategies to deal with them. We will address differential diagnosis to help identify motor control or soft tissue restrictions and where they may be coming from – we will show you the interdependent relationships between many of the tissues and how they interact. This exciting and fun workshop is delivered with clarity and with your practice in mind – you will have useful and usable skills by the end of the two days. 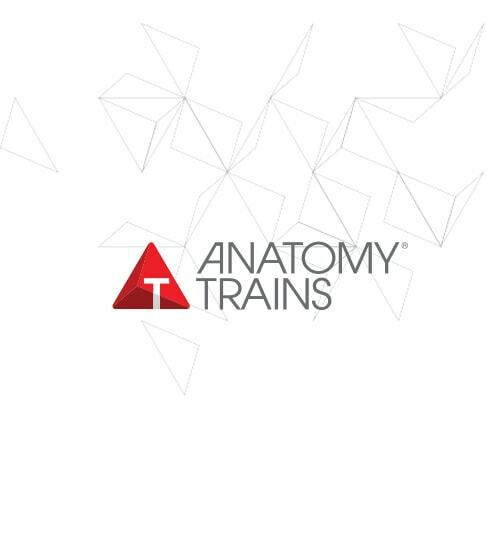 Part 2 of this series covers the remaining Anatomy Train lines (Deep Front Line, Arm and Functional Lines) and allow deeper exploration of the main concepts behind the whole system – structural and functional analysis and refining fascial touch skills. Part 2 course will be offered at another time.